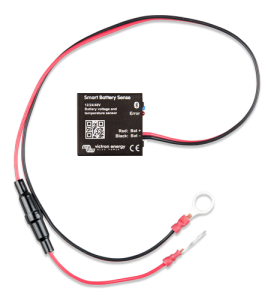 Need a low-cost solution to measure battery voltage via your mobile phone? 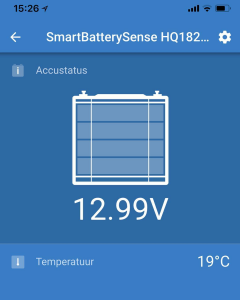 Victron have a new low cost BlueTooth device that measures battery voltage (12/24/48v) and temperature and transmits the information to other Victron solar charge controllers or just to your mobile phone. Watch the video of Victron’s new Smart Battery Sense module. Download the VictronConnect APP free from your APP store on your mobile device. Keep an eye on the battery voltage of your jet-ski, motorbike or backup RV batteries. Transmitting distance will depend on your local environment. You can extend the leads on the unit by checking the details in the online manual available here. It’s that simple – there is NOTHING more to say!